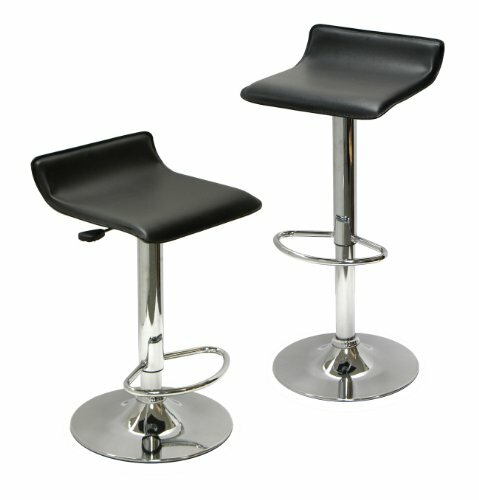 Comfy contoured Faux leather seat.Adjustable height from 24.8-33.1. Metal foot bar and base.Airlift with handle on side makes adjustment easy. Sold as set of 2.